Should I add salamander support? 1. Should I add salamander support? 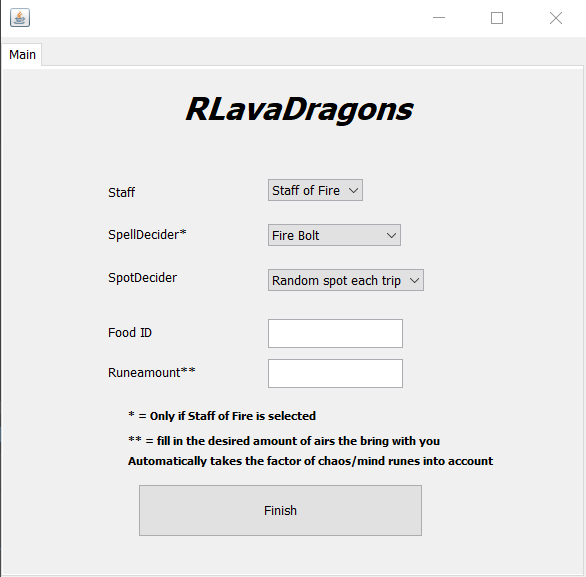 RLavadragons is a premium script/bot that kills lava dragons in the wilderness. Make sure u read this thread ﻿thoroughly before you decide to run﻿ the script﻿﻿﻿. 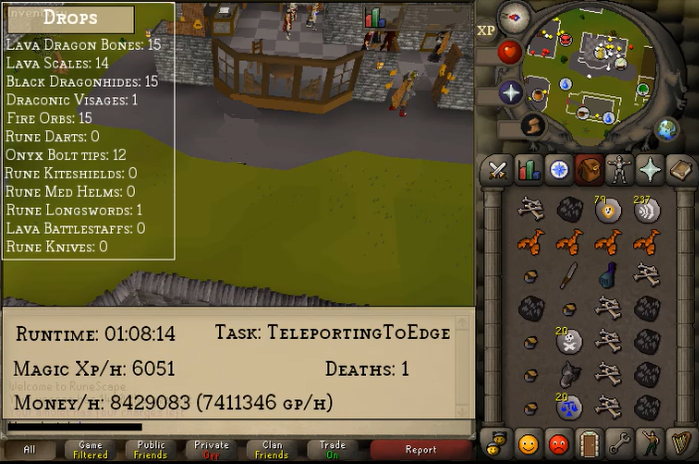 Please keep in mind that you are mainly in the wilderness when using this script, and that I can't guarantee 0 deaths (no bot can)! Don't sell bones, scales or hides for less than the market price! 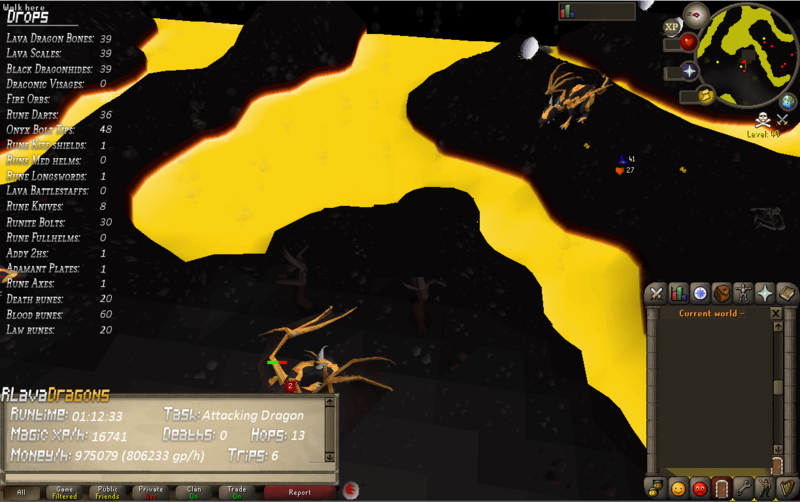 At least around 30 hp to tank hell-hounds on your way to the lava dragon isle, and 1 hit (max 23) by a drag. Set your quick-prayer to protect for item! 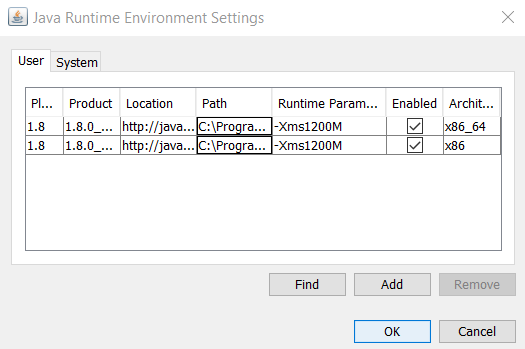 If you run it in resizeable ensure the client size is big enough. The are inner problems with the client's "inViewport" method. Obviously have the mentioned optional items in sufficient quantity in your bank! Hello there, I'm currently in my 1st year of Bachelor AI and started programming a few months ago, and I just started making bots like 2-3 weeks ago. 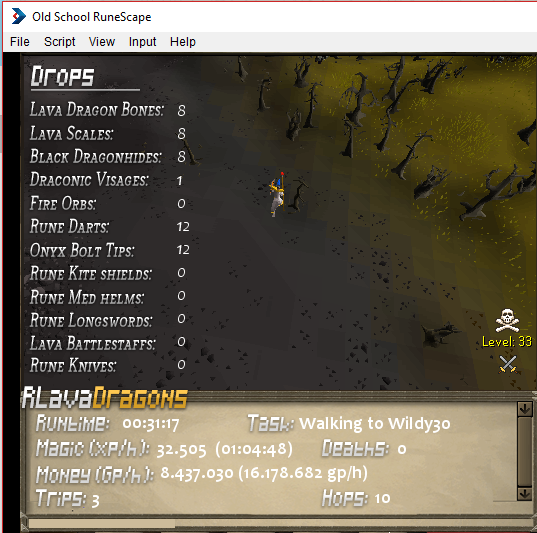 This is my 2nd script, I also made a ZammyWine script that grabs zammywines in the wilderness at the zamorak altar which I'm adding soon to SDN. 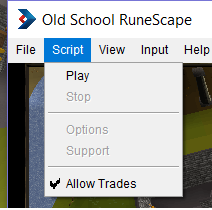 My current objective is to create premium moneymaking scripts which require very low stats, but make a decent amount of profit. 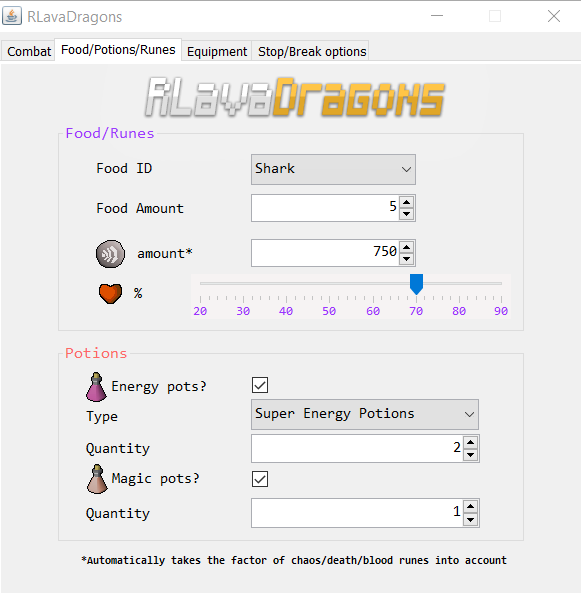 Obviously I want to make this script premium since the requirements for using the script are very low (13 magic, at least 23 hp or 43 prayer), and the gp/h is very high (up to 300-500k/h with fire strike/bolt, up to 750k/h with a trident). 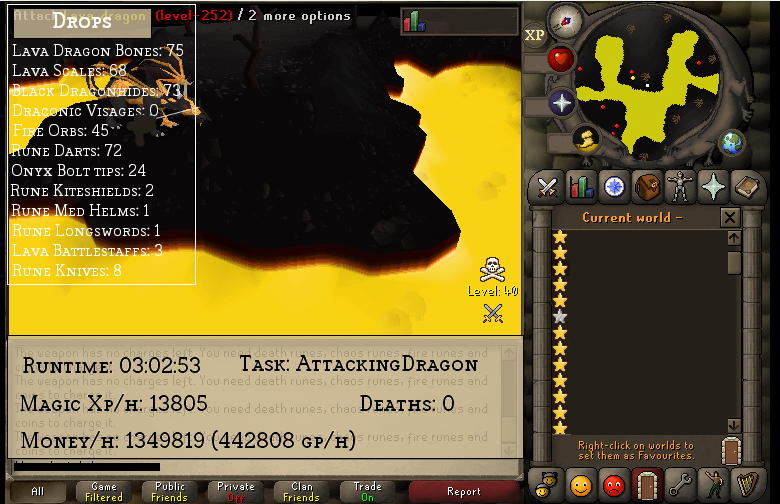 - At least around 30 hp to tank hellhounds on your way to the lava dragon isle, and 1 hit (max 23) by a drag. 3+ hour proggies coming soon..
GUI is alittle messy it bugs out alot when starting script like it bugged out so bad i couldnt do anything with the bot client unless i closed the program with ctrl-alt-del, when equipping anti-fire shield i dropped it on the floor in the bank and kept heading on my way to the lever. It got me to the right spot but stood at the safe spot doing nothing till i attacked the first dragon myself then it worked like it should. 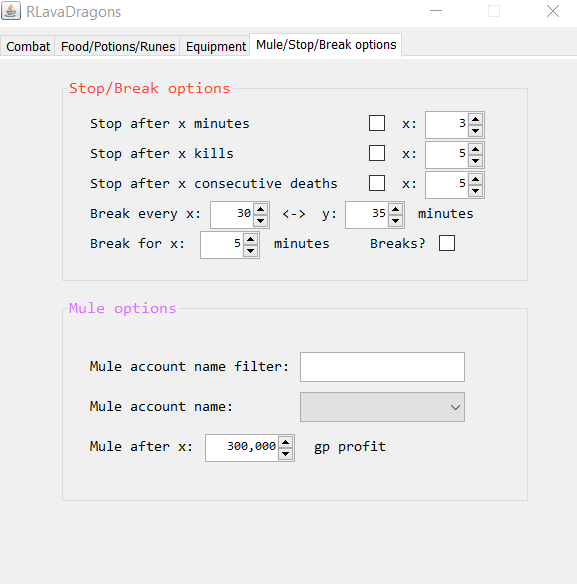 haven't completed a full trip yet but if you need any suggestions maybe make gui have options for how much gp in invy worth of loot is enough for your bot to head back? 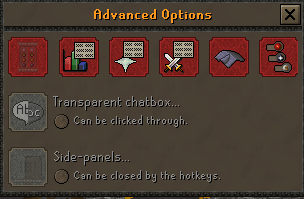 also It hasn't taken a prayer potion out of the bank I just realised. Hope this helps and thanks for the script my dude. 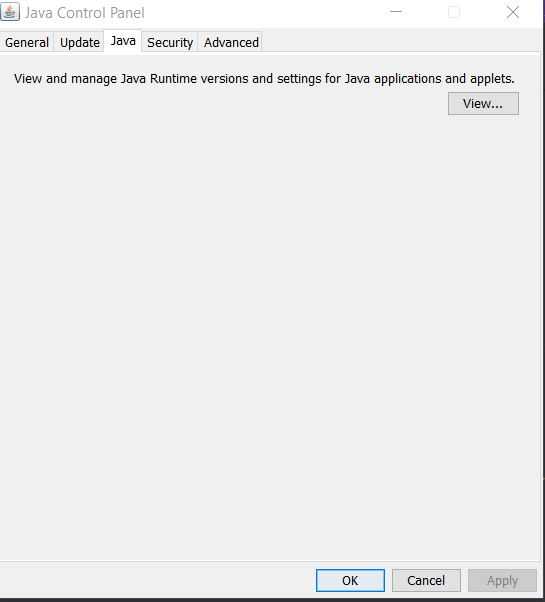 Are you running the client in fixed mode? Did you set zoom all the way to the left? did you turn always hide roofs on? 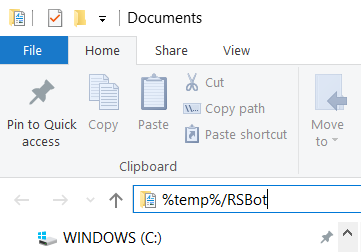 Try to remove the script and add it again since I updated it, also try to restart the bot. If you want to close the bot just click on the stop button. 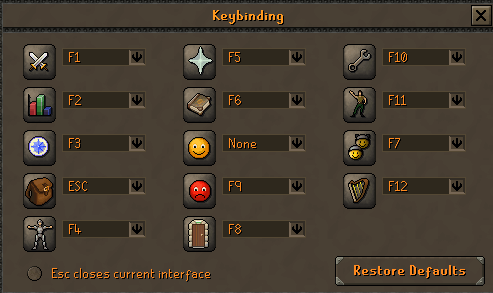 I already implemented an option to walk back when we get an onyx bolt tips drop, but i can add the gp thingy. I forgot to mention that it only takes prayer pots when your prayerpoints are below 30, since you dont need that much prayer -> you'll lose aggro in 10 mins, you only need prayer when you need to walk to the savespot. I did make sure the zoom was all the way on the left and I was at the edgevill bank with rooftops off and making sure I selected the right settings, thanks for clearing up the prayer potions its a really nice script at the moment, alittle sluggish like slow when moving around and interacting with doors. Asides from that good work man. Every time he goes to pull the lever,it just gets stuck there,it clicks on the lever again when it shows a dialogue. It can also get stuck on the bank sometimes.i wrote 10 as in 10 lobster and it kept withdrawing 100 , " withdraw x " , "100" . Then it would get full,deposit everything and do all over forever. Weird, will look into it! It works for values less than 10? With 5 it worked,maybe it had something to do with me typing the number in the script instead of using the little arrows in there ? But yeah 5 worked,also sometimes has trouble casting the spell the first time,i have to do it manually. 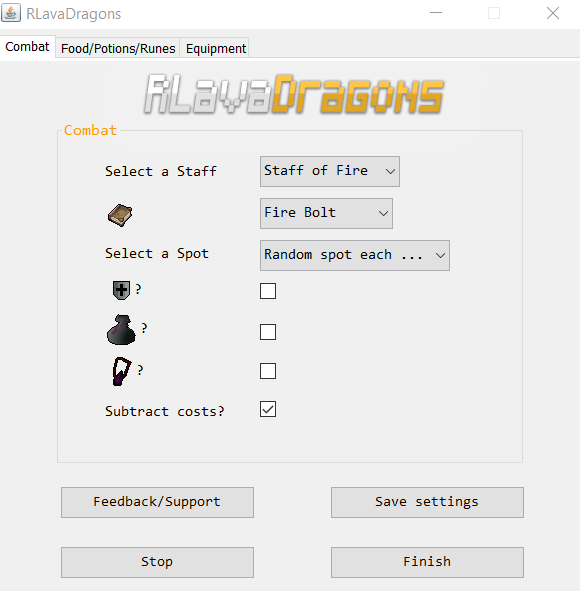 The safespots and all the rest works really nice,like luring the dragon and that. 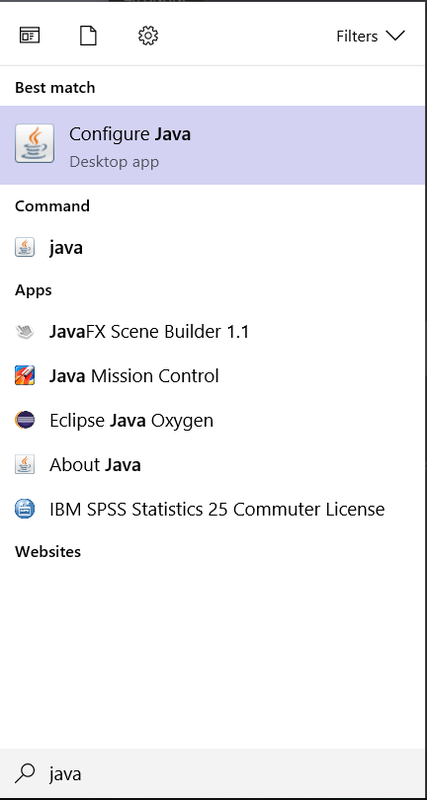 can you add me on discord and maybe screenshare when you are running the bot? 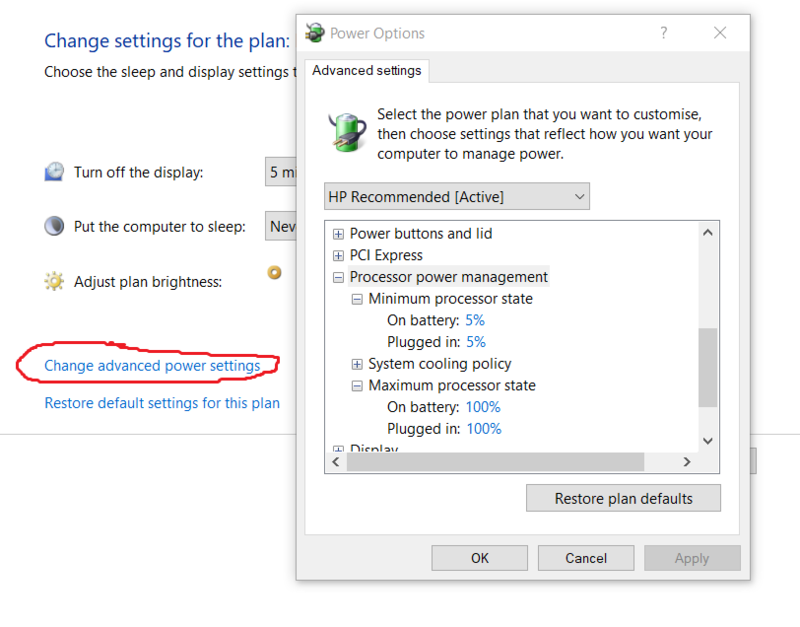 I'm having issues after updating script like you mentioned @ op, I can try screen share and show you? 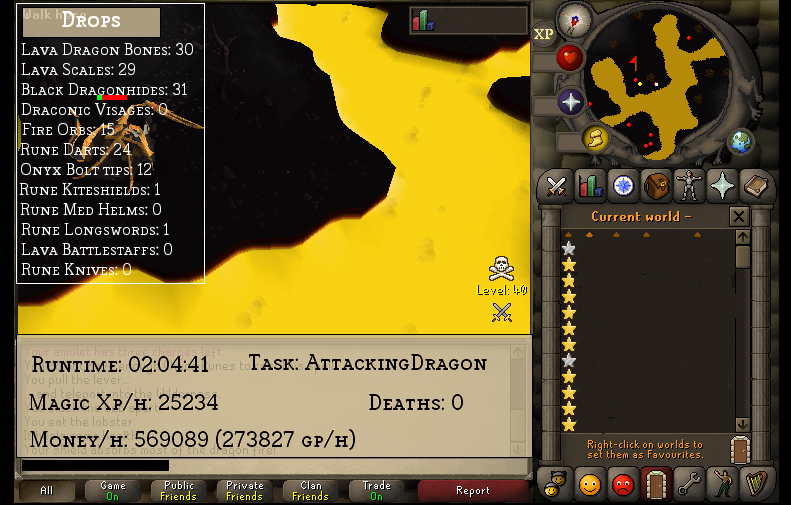 could you make this script perform faster, it dies a lot because it takes too long to perform actions like anti pk-logout or even step away from a lava dragon that's attacking the bot. 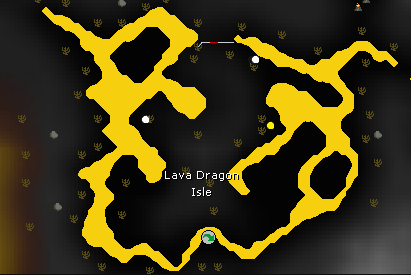 It also takes maybe 10-15x longer to walk from the bank the the lava dragon isle than if you walked yourself. 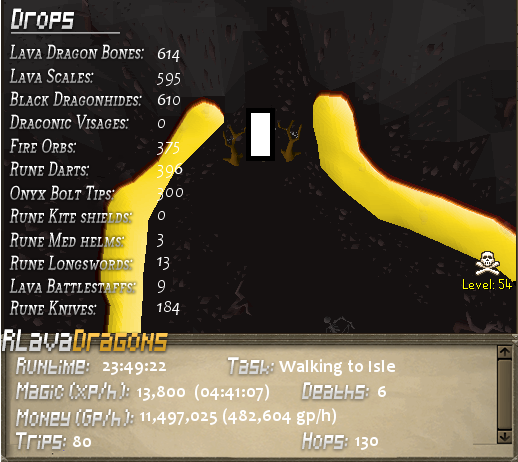 Biggest issue asides the bugs ect right now is the speed, die alot to the lava dragons because the script takes too long to realize the bots being attacked by a dragon outside the safe spot or even doesn't log out at all alot with pkers. died with full invy before i could run back because the script wouldn't switch world when a pker logged in next to me, had all the time in the world to log and it just stood there with full invy... im losing money using this script because trident. 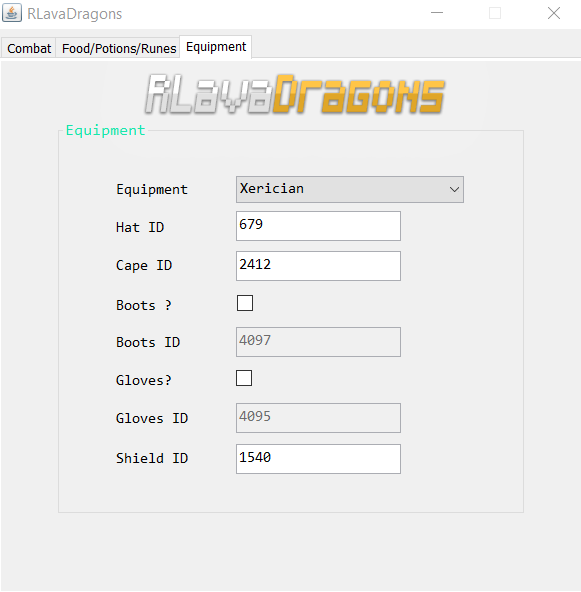 As I made this post i watched my 76hp pure im using die to lava dragons bc it takes too long to realize it is under attack. I'll try to provide you with any information if it can help fix the script. Just let me know what you need, also I do appreciate its a free script in beta phase how ever it's just not possible to even get 1-2 trips without baby sitting it as it currently is.